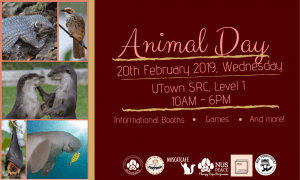 NUS PEACE Animal Day 2019 is happening on Wednesday, 20th Feb from 10am to 6pm at UTown SRC Level 1! 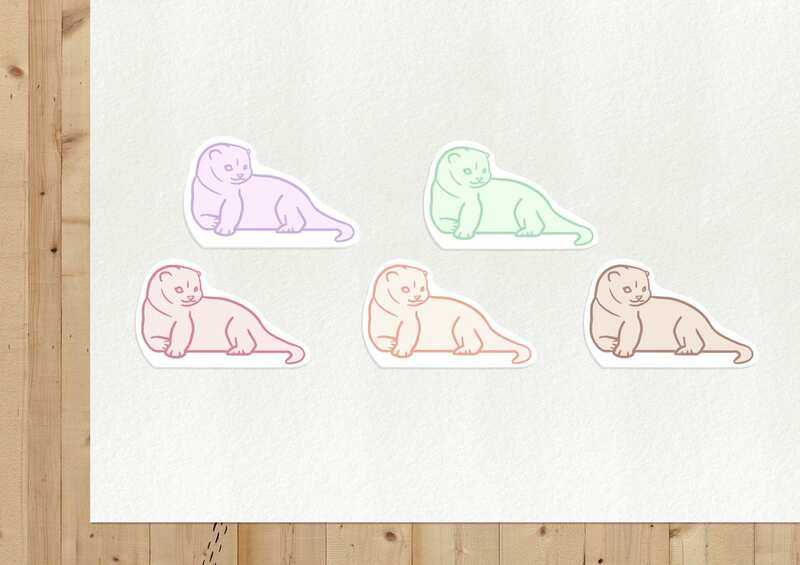 There will be information booths, games, sales of stickers and tote bags and more! See you there! Distinguished by short and smooth reddish-brown fur and large webbed feet, the smooth-coated otters are one of the two species of otters found in Singapore. There is an estimated 70 of them in Singapore, commonly found in areas like Marina Bay, where fish and fresh water are plentiful. 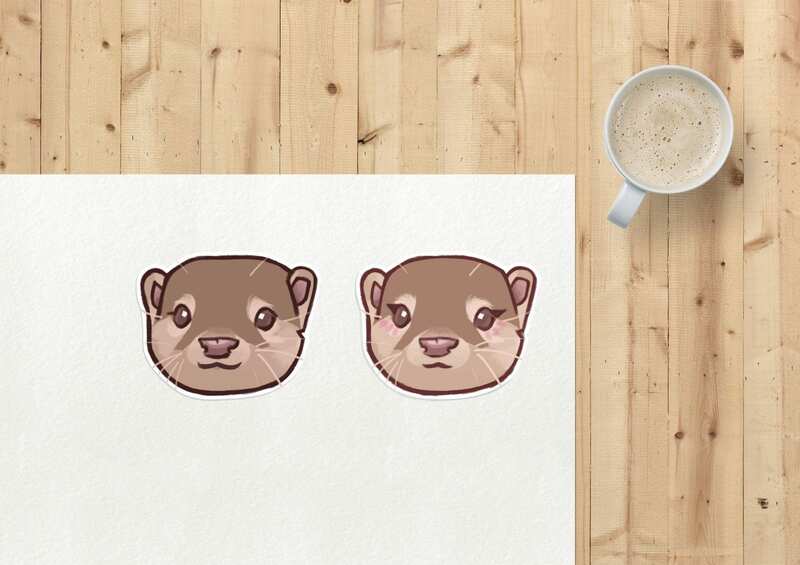 The smooth coated otters are classified as Critically Endangered. Threats to their survival include loss of wetland due to land reclamation, reduction in prey mass and contamination of waterways. However, ACRES (Animal Concerns Research & Education Society) and NParks have taken steps to protect this vulnerable species by educating the public on the do’s and don’ts. Groups such as OtterWatch have been photographing and recording the otters’ movements. 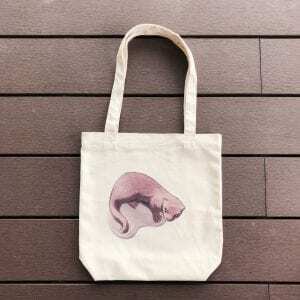 The otters are also protected under the Wild Animals and Birds Act in Singapore. 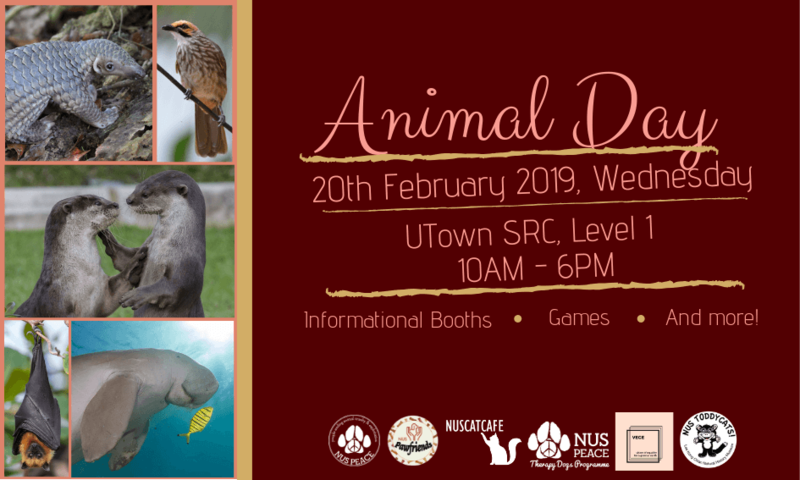 We’re bringing you new knowledge about your lovable animals on this🐾Animal Day 2019🐾! Paired with NUS ToddyCats, we’re ready to bring you wildlife information you have never seen before! 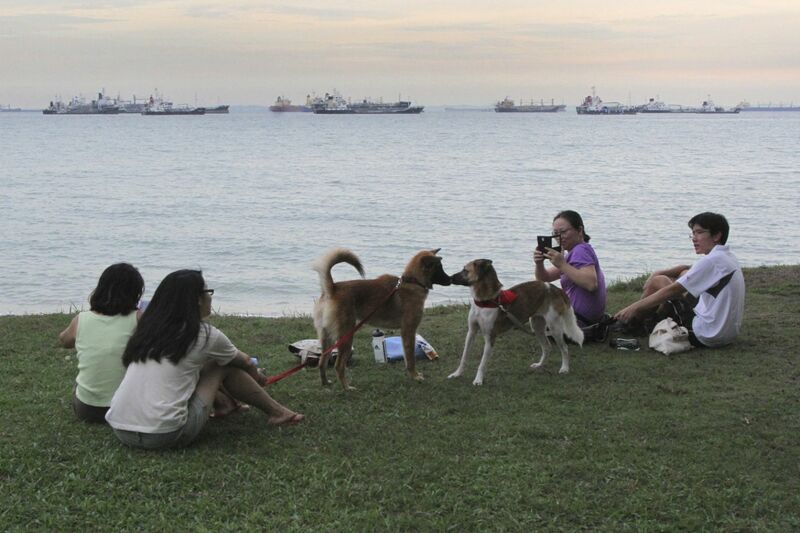 Come join us and learn more about the animals in Singapore, and what threatens their survival. Play games at our booths, and even take your own VR trip to an animal sanctuary! Have fun interacting with our lovely shelter dogs in their little playpen, and check out our adorable goods with Smooth-backed Otters, Sunda Pangolins and Hawksbill Sea Turtles! You will never grow bored with our variety of booths for you to explore! There are no booths with repeating activities, so make it a personal mission to visit them all! I am happy to report that I have completed my eighth annual audit for NUS PEACE! As an Interest Group, NUS PEACE has no official reporting structure for finances. Since 2011, students have maintained their account on a shared Google Drive. A spreadsheet with credit, debit and balance is setup every year with the treasurer along with a procedure to log every entry. Corresponding receipts are scanned and uploaded in a folder with a specific filename. At the end of their term, the treasurer, president and staff advisor get together with me for an audit of the group’s accounts. Each transaction is verified against the shared accounts page, bank passbook and receipts folder. When the exercise is successfully completed, the details of the verified account is posted on the Expenditure page here, for transparency. 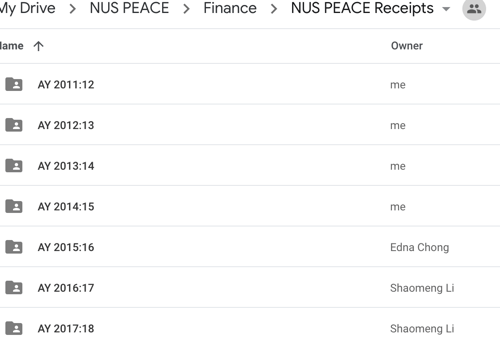 Various presidents had cleared out their personal bank accounts to support NUS PEACE for more than a year, in order to ease the process for the incoming committees. The most recent had allowed used of her account since AY2014/15. Kudos to all of them! Well, I just completed the audit exercise for Aug 2017 to Oct 2018 with the current treasurer, Tay Xin Ci. I am glad to report, everything is in order once again. This verified balance will be handed over to a dedicated WBS account with the Office of Student Affairs. This is an account which records the income and expenditure of the Interest Group and is subject to NUS financial procedures and oversight. The audits conducted by myself may no longer be necessary! Congratulations to the various treasurers who maintained a good accounts sheet. This has importantly allowed the rest of the committee to focus on helping animals. Organized by our newest animal rights subcommittee VEGE, experience first-hand the inner workings of factory farming through our use of virtual reality! Find us at the walkway of Central Library between 11:00 AM – 3:00 PM. Join us in our fight for animal rights and learn more about PEACE and VEGE as a whole during the event! 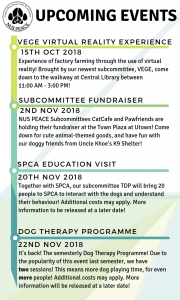 Said to be the most ambitious crossover since Infinity War, our subcommittees CatCafe and Pawfriends are having a fundraiser at Town Plaza in Utown! Support them by purchasing their goods, and play with shelter dogs in their playpen. Shelter dogs are from Uncle Khoe’s K9 Shelter, and let them tell you why adopting is indeed, better than shopping. 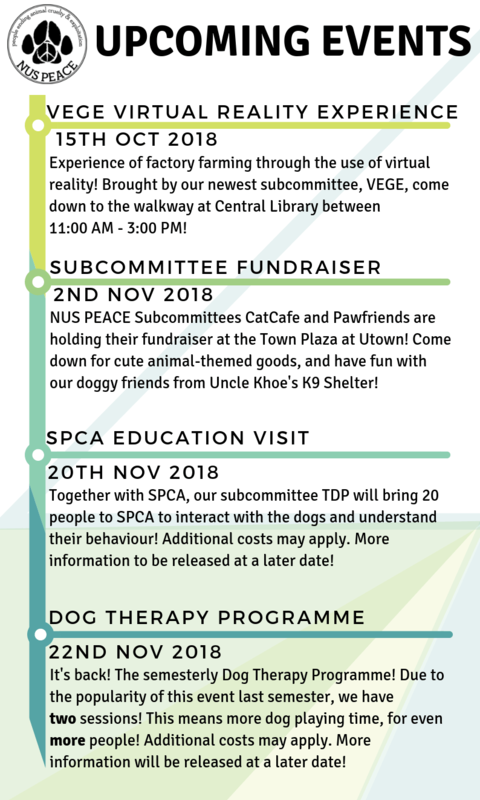 Subcommittee TDP has arranged for a special visit to SPCA, where you can interact with the dogs there and learn all about dog mannerisms and behaviour. There are only 20 allocated slots, so keep your eyes open for the sign-up link coming soon! Additional costs may apply. Based on the popularity this event had last semester, we have expanded this to include more sessions! You’ve heard right! More. Sessions. This means more people can join us this year! Come release your exam preparation stress by plays with the dogs from Uncle Khoe’s K9 and SOSD! More information regarding sign-up will arrive at a later date, so follow us to get the fastest updates! 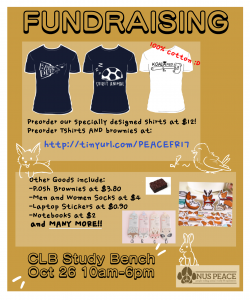 Come support NUS PEACE at our Fund Raising Event on the 26th of October outside the Cental Library! 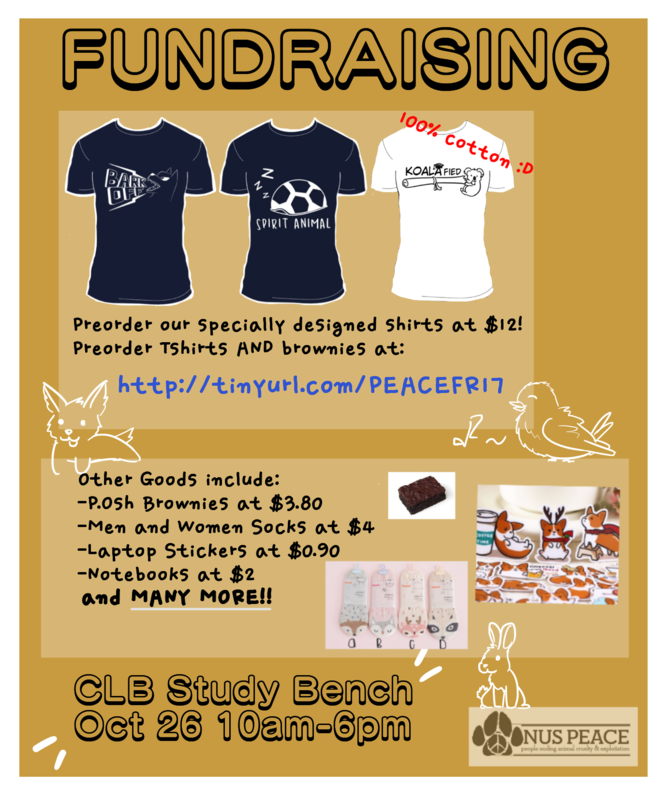 We’re selling many cute animal products such as T-shirts and animal-themed socks, as well as P.Osh brownies and cookies. Pre-orders are open to both NUS and non-NUS students! 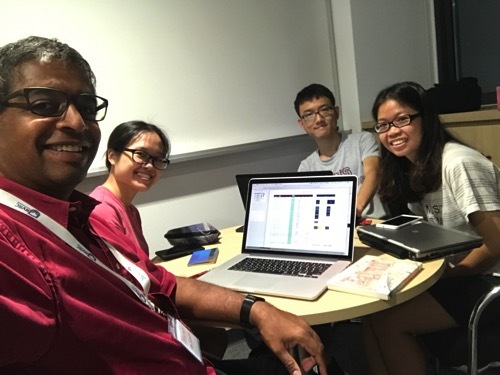 For the past few years, NUS PEACE’s treasurer, president and staff advisor N. Sivasothi get together for an audit of the group’s accounts. Each transaction is verified against the shared accounts page, bank passbook and receipts folder. When the exercise is completed, the details of the verified account is posted on the Expenditure page here, for transparency. Well, we just completed the exercise and I am glad to report, everything is in order once again. L-R: N. Sivasothi (Staff Advisor), Vu Minh Phuong Jules (President 2017/18), Li Shaomeng (Treasurer 2016/17) & Tran Thuy Linh (President 2016/17). My secondary school friends probably remember me as someone who talks fondly of my pet, Embie. She was very small and grey. Compared to her peers, she probably stuck out like a sore thumb as their colours were much more vibrant than her dull features. But I love her for her cute little self. With her little feet, she climbed up a short flight of stairs, step by step. Darted past flat grounds. And hopped down the steps. Her chirps were always full of energy as she followed me around. We had been very close as I was with her since she was a three week old baby, feeding her four times a day. As a kid, waking up at 5.00am willingly to do so probably was the craziest thing I did in my life. I still vividly remember about the day out at East Coast Park with her even though so many years had passed. She was tailing behind me, running through the sand as I walked at a slow pace. Lots of people stopped to stare. I recalled little boy tugging his mother’s arm and pointing at us in awe. As I called Embie to fly up to perch on my hand, I could not hide my grin. Embie was incessantly making high-pitched chirps and flapping her wings in excitement, like the lovebird she was. 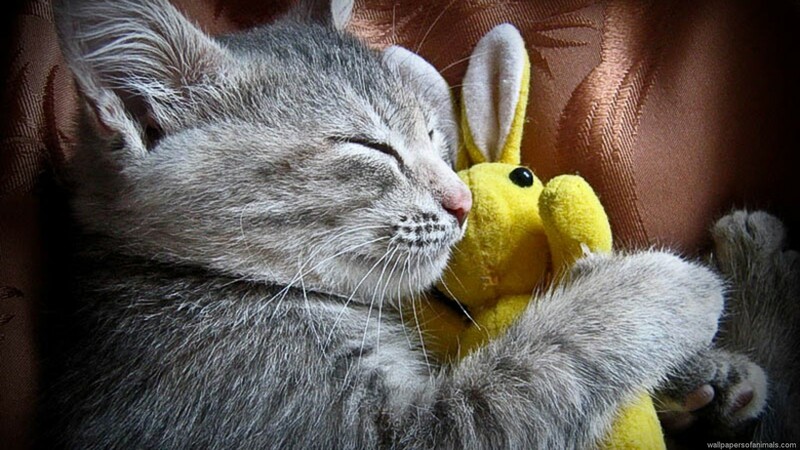 Maybe it had spurred him to want a pet like Embie, I wouldn’t know. For all that I would have known, that family could very well be in the small community of bird lovers as I am. Bird people are just weird, as compared to our dog and cat loving counterparts. We let our birds scream at us. Are totally unfazed when they poop on us and well… I walk my bird. To my defense though, I heard of someone walking his terrapin. But I think all pet lovers would agree that a bit of out and about, fresh air and exercise can make one very happy pet! 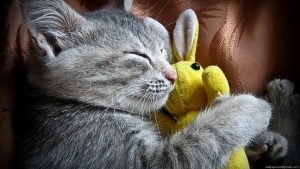 #2: Cats sleep so much that, by the time a cat is 9 years old, it will only have been awake for three years of its life! 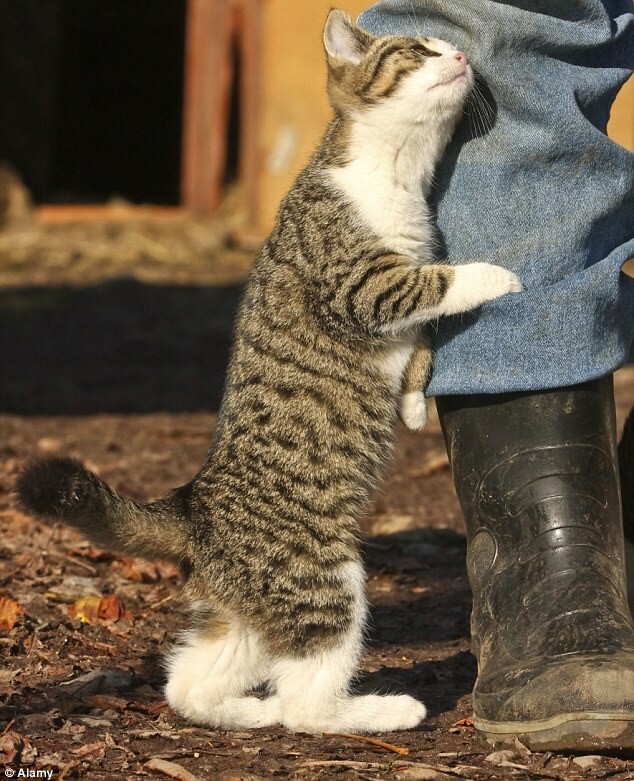 #3: A cat rubs against people to mark out its territory with scent glands around its face, tail area and paws. Meow. 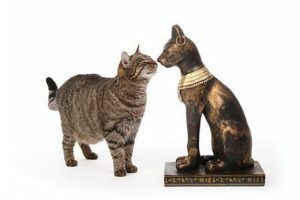 #4: When a family cat died in ancient Egypt,The cat was embalmed with a sculpted wooden mask and the tiny mummy was placed in the family tomb or in a pet cemetery with tiny mummies of mice. 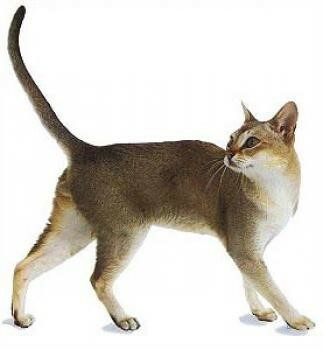 #5: The smallest pedigreed cat is a Singapura. #6: A cat can jump up to five times its own height in a single bound. Woohoo! #7: When cats leave their poop uncovered, it is a sign of aggression to let you know they don’t fear you. 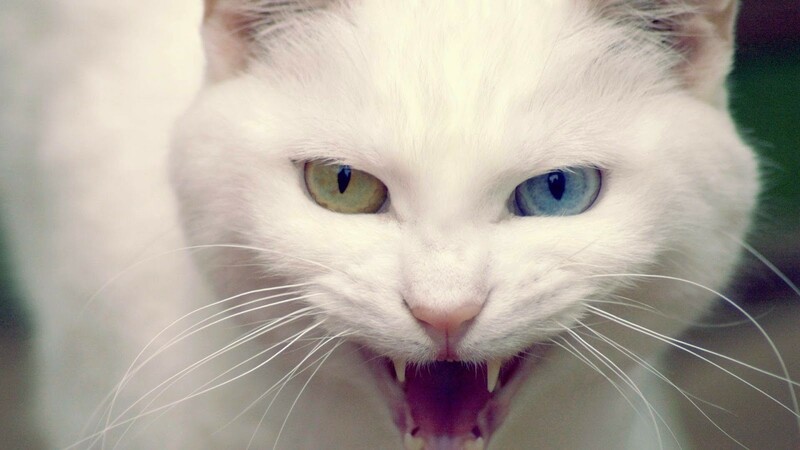 #8: There is a legendary “monster” in Iceland called the Yule Cat. Farmers used to threaten their workers that the Yule Cat would devour them if they did not process the autumn wool before Christmas. Here are a list of places that welcome your dog for a great day out! 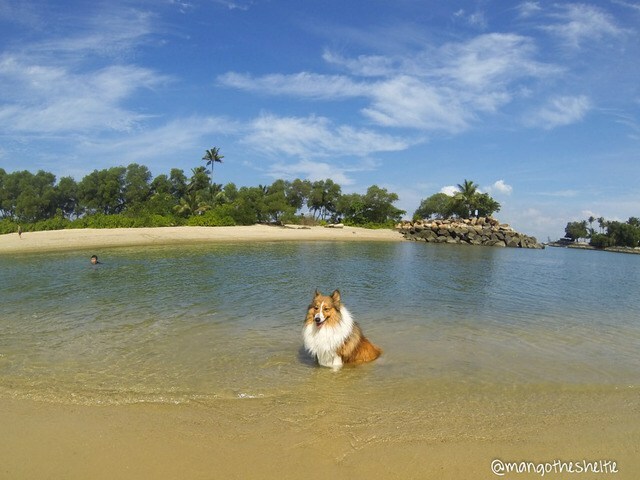 Located in Sentosa is a large sandy beach that welcomes dogs for a fun day out in the sun and the sand! In the picture above, you can see Mango posing with the beautiful scenery. 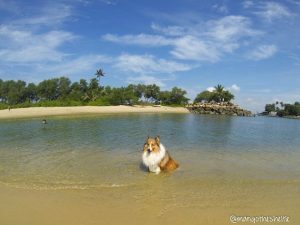 Your dog can roam around freely off leash (but you should still keep a watchful eye heh) and swim or run around on the long stretch of sand. 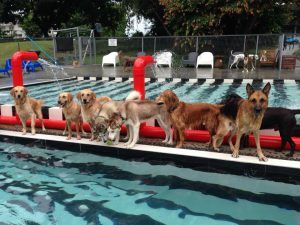 If possible, get a floatation vest for your dog! More information on bringing your dog here can be found on Mango’s blog post. 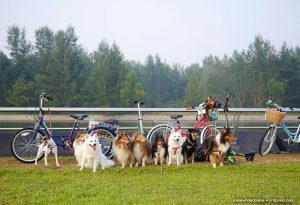 Most well known for cycling and rollerblading trips, ECP is also a fun place to check out with your dog! With a 15 km long track, you can take your dog out for a run, it will be a healthy way to exercise and enjoy the amazing view while you are at it. It would be advisable to keep your dogs on their leashes! 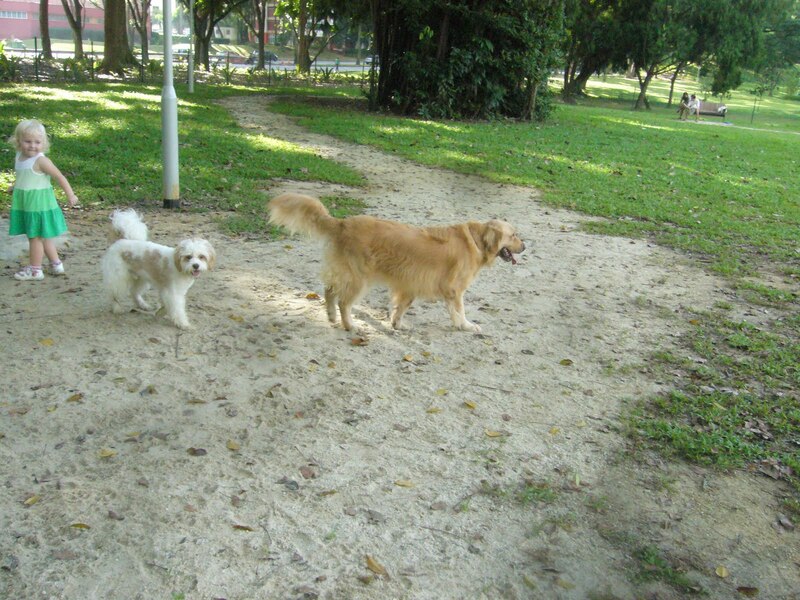 Newly revamped Bishan-Ang Mo Kio Park is also a popular place for dog owners to bring their furry pal to on weekends. There are two designated dog run areas there, one for larger dogs and another for medium to smaller sized dogs. However, most of the time the owners are not discriminatory towards the size of dogs, all are welcome to join in the fun! 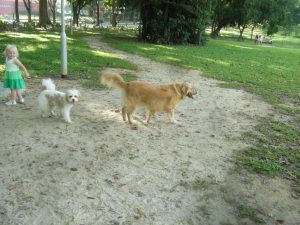 Check out how much fun Zeus (above Golden Retriever) had at Bishan-Ang Mo Kio Park! I’m sure you all have seen pictures on Instagram of people posing in front of Coney Island, which is where Punggol Point Park is at. 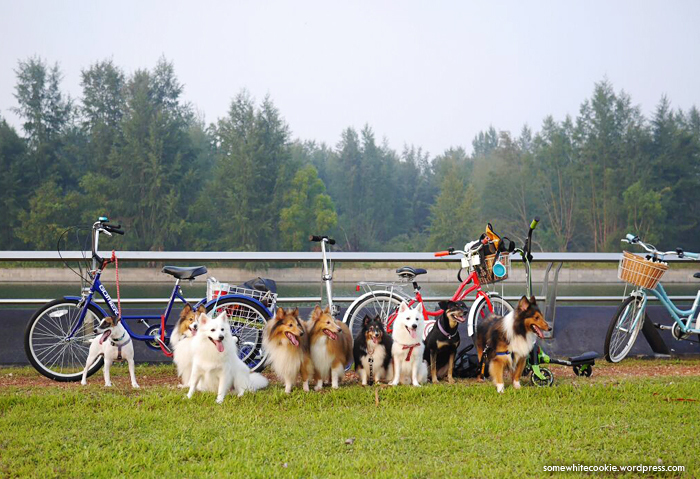 There are bicycles for rental to accompany your day out with your dogs. In addition to the beautiful view, there are many places you can have your lunch before you kick start your day out, or dinner to end the day. Do check out this blog post for more detailed information! Fancy a swim on a hot day? Head down to Sunny Heights located at 110 Turf Club Road for a dip in the pool. Opening hours are Saturday-Sunday, Tuesday-Thursday 1.00pm to 6.30pm and Friday, 3.00 pm to 6.30pm. Do note that they are closed on Mondays! They charge $16 per hour and $2 for a life vest. Also, only dogs with current Annual Vaccine Records would be allowed entry. Sunny Heights also offers boarding services do check them out! Do let us know if there are other places to bring your dogs in Singapore so that we can share them with other dog owners! Especially since it’s recess week and time for a break! In this week’s article, we propose certain living conditions for your cats and dogs at home for your furry pal to stay in an optimal environment, keeping them happy and healthy in your company! 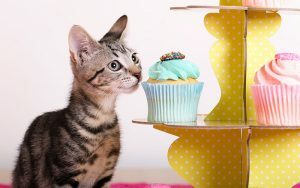 Firstly for cats, there needs to be a safe, secure food and water station and litter box area such as an area near the toilet as cats get startled by loud noises easily. This would allow your cat to eat and drink and do their business at ease. Secondly, your cat needs a safe place to rest and hide. 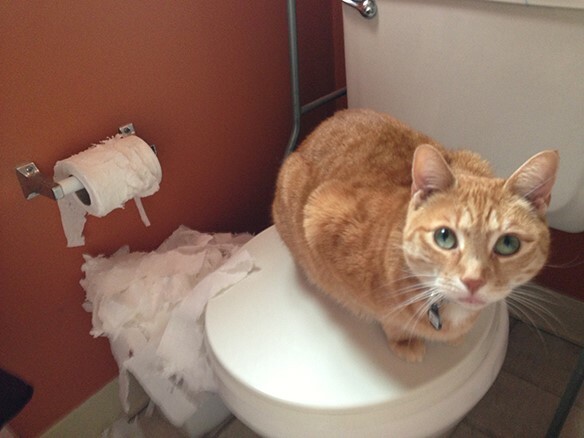 Cats like their own resting and hiding places which can sometime be the same place where they feel untouchable. Like humans, cats appreciate their personal space! Thirdly, as cats are natural climbers and scratchers, you should provide a cat stand of some sort or a scratching post for your cat. It is in their nature and for the sake of your furniture, it is highly recommended to get one. Fourthly, cats follow routines and are somewhat disciplined creatures in this sense. They would feel most at ease when its routine is predictable. Hence there is a need for consistency in your interactions with your cat. 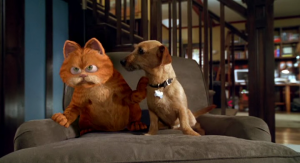 For instance, you could pet your cat when you leave the house for the day and give it a treat when you return. This allows the cat some gauge of what to expect. 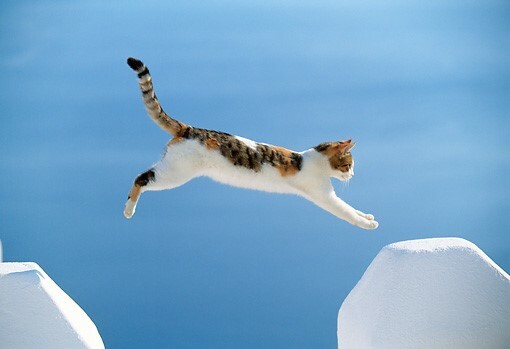 Last but not least, cats can get bored easily and it is important to keep them entertained when you are not at home. Some cat owners leave music or their television switched on while they are out to stimulate their cat’s auditory senses. 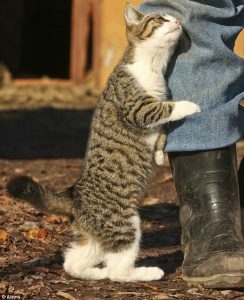 Do not leave your cat in an outdoor enclosure as they are prone to escaping and this could be dangerous to their safety. Moving on to the dogs! Firstly, dogs require a clean bowl of water that is readily available for them to access. The amount of water your dog drinks depends largely on its activity level at that moment. If your dog is resting at home, snoozing around, chances are that he/she would not be drinking much water. But if your dog has just came back from his/her walk, he/she would often head to their water bowl almost immediately. Thirdly, dogs require a lot of exercise as they are usually quite active. Bringing them out for walks reduces the risk of obesity and also serves as a great way to bond with your pal! Fourthly, puppies love to chew on things so in order to safeguard your precious furniture and your favourite shoes, it would be best to buy rawhide or chew toys to keep them occupied when you are not home. Last but not least, it would be ideal to toilet train your dog from young or set aside a designated spot for him/her to do her business so you would not have to risk stepping on any landmines at home!